Market Dojo are delighted to announce a new partnership with Proqura to promote our innovative, pay-as-you-go procurement tools across New Zealand. 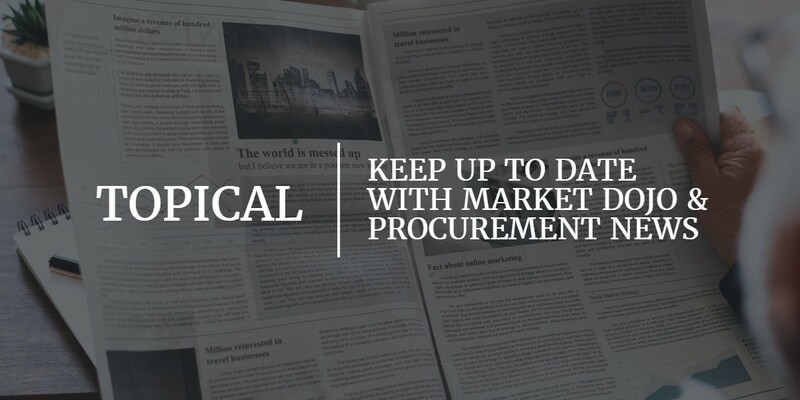 Headquartered in Auckland, Proqura are a new breed of procurement consultancy, whose mission is to deliver optimal procurement value and global sourcing expertise to medium and large New Zealand organisations. Returning from London to New Zealand, Director and founder of Proqura, Igor Magud, has 16 years of global strategic sourcing experience, most recently as Head of Strategic Procurement and Director of Global Sourcing for a $10 Billion global Logistics organisation in over 20 countries worldwide. Igor’s sourcing teams previously championed eAuction technology and deployed tools over multiple regions, globally hosting hundreds of events. Proqura’s aim is to bring the benefit and flexibility of the Market Dojo solution set to businesses in New Zealand. New Zealand has a stable and globally competitive economy, which has experienced positive economic growth for 33 of the last 35 years. It continues to have clear regional links to Asia Pacific; with import trade from China tripling in the last decade, whilst the 2 main import sources continue as the European Union and Australia.